Big truck fenders are a necessity and a luxury. They keep your truck on the road while adding a unique look. 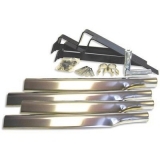 At Raney’s, we have the largest selection online ranging from stainless steel smooth fenders to poly or plastic fenders — all offered in quarter, single, half or full tandem versions. 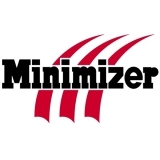 Our Minimizer line comes with a lifetime warranty, while our Spray Mate and Spray Master lines offer a one-year warranty with a full selection of color choices. 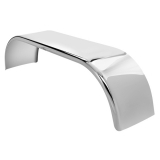 Trux provides smooth stainless semi truck fenders that are great for either show trucks or work trucks that want an extra shine. 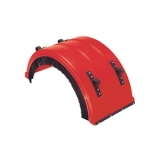 Our wide selection of semi truck rear fenders and related items is second to none. 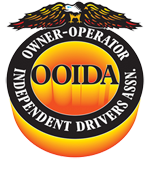 Fiberglass fenders, full tandem fenders, half fenders, single axle fenders, quarter fenders, mounting kits — you name it, odds are we have it. A new set of semi fenders not only protects your truck, but also makes your truck look like it just rolled off the assembly line. 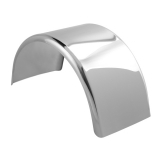 For instance, our American-made Q Series Hogebuilt fenders, with 16-gauge stainless steel and a perfect mirror finish, are some of the best looking and toughest fenders available anywhere. They come with a one-year warranty from the manufacturer and will impress anybody who looks at your truck. 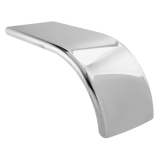 If that’s not the semi truck rear fender for you — we have hundreds of other options. Nothing looks worse than a truck outfitted with a rusty set of fenders. Yet beyond appearance, old fenders could be hazardous, causing damage to your vehicle. In today’s world of rising insurance costs, there’s no point to incurring unnecessary risk by delaying something as routine as replacing fenders. That’s why we make it simple for you to select and order semi fenders at Raney’s. Fast, easy and reliable — that’s what you get from Raney’s with every fender purchase. 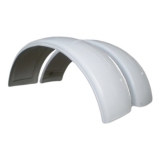 What’s more, when buying truck fenders from Raney’s, you’re buying more than fenders. You’re buying our total commitment to customer satisfaction — our team of truck parts professionals handles all of our customer service. Whatever you need, you’ll be talking to a knowledgeable, experienced employee, not an automated phone robot or someone overseas who doesn’t know the first thing about truck fenders. If you have questions or need any additional information, please contact us — we’re happy to help in any way possible.